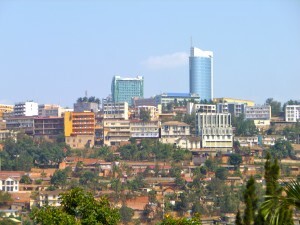 Description: Rwanda’s capital, Kigali, is a bustling, cosmopolitan city with many amenities (shops, bakeries, banks) one would find in any western country. It is a large city, spanning numerous slopes and valleys with lush hillsides surrounding the perimeter, and flowering trees even along the busiest of streets. Few visitors stay in Rwanda without visiting the Kigali Memorial Centre to learn about Rwanda’s dark though important recent history. 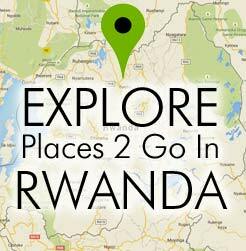 This is also a good place to take advantage of Rwanda’s French roots, and large expat population by experiencing some of the most diverse culinary options in the country. You will never be short of opportunities to enjoy a truly delectable pastry from a bakery or cafe. For those ready to jump into true Rwandan culture, the city is certainly not short of restaurants where one can sit back and enjoy a locally brewed Rwandan beer, authentic local Rwandan cuisine, and great live music. Kigali serves as a great central starting point to explore the rest of Rwanda. All points from the country’s capital are accessible in less than a day via moderately developed roads.